Vin Diesel has always had a grand plan for the Fast and Furious franchise, one that Universal Pictures has been more than happy to embrace, given that it’s the studio’s single biggest global franchise. But the truth is that for the Fast franchise to continue beyond Justin Lin‘s upcoming ninth installment and a tenth film that has already been announced, it will need to reinvent itself. To that end, Diesel and his producing partner Samantha Vincent are developing a female-driven Fast and Furious spinoff based on a pitch they recently heard from writers Nicole Perlman, Lindsey Beer and Geneva Robertson-Dworet. Diesel announced the news on Instagram and Universal had no comment. Collider has learned that while the three scribes pitched the project together, it remains unclear whether all three will be available to co-write the script together, given their busy schedules. It’s possible one may simply receive story credit. The nitty gritty of it all hasn’t quite been worked out, but regardless of how the credits are sorted out, this feels like a natural progression forward for the franchise. 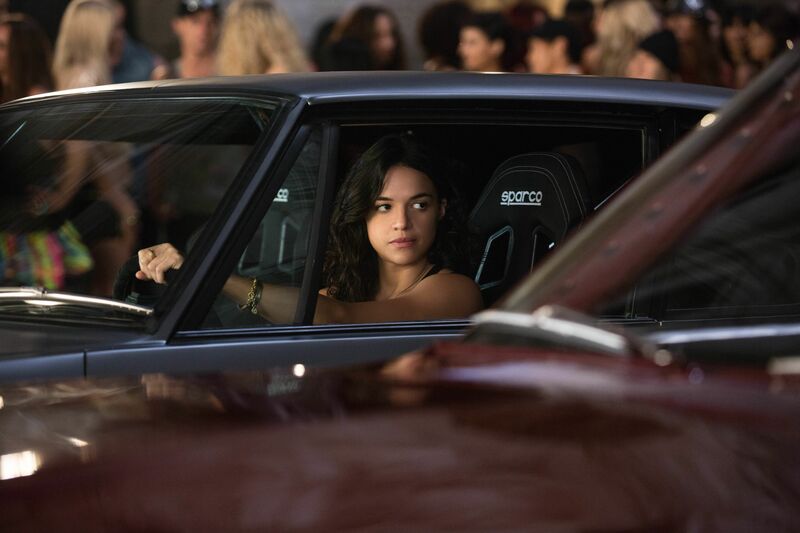 Michelle Rodriguez has been advocating for this idea for years, only to see other franchises beat Fast and Furious to the proverbial punch, but at least it’s finally happening — and with three of Hollywood’s top screenwriters, no less. There’s no limit to what Perlman, Beer and Robertson-Dworet could do with this roster of strong female characters — this franchise has never been one for limits — and one source hints that it could find the Fast females intersecting at different points in time. After all, this series has already played with time, with the third installment, Tokyo Drift, taking place after the sixth movie, upending the entire timeline of the series. The major implication of this, of course, would be that the spinoff could bring back female characters who have already died, such as Gal Gadot‘s Gisele, who was killed off in Fast & Furious 6. She’s already slated to star opposite Dwayne Johnson in Universal’s international action movie Red Notice, but like any of its competitors, the studio would love to work with the Wonder Woman star more, and the Fast franchise gave her an opportunity to showcase the very talent that won her that iconic superhero role. It remains to be seen whether Gadot would even want to return to this franchise at this point in her career, but she may be encouraged by the women behind the project. The three writers behind the pitch for the spinoff are no stranger to female superheroes themselves, as Perlman worked on Captain Marvel and Black Widow, Beer worked on a Silver Sable movie, and Robertson-Dworet worked on Captain Marvel and Silver Sable as well. It’ll be interesting to see whether they plan to bring back Jordana Brewster, Elsa Pataky and most importantly, Oscar winner Charlize Theron, who may be a little harder to convince. Next up for the Fast franchise is David Leitch‘s spinoff Hobbs and Shaw starring Dwayne Johnson and Jason Statham. You can find Diesel’s Instagram post below.